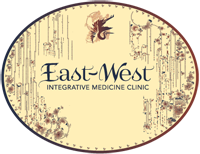 An external, noninvasive therapeutic bodywork which focuses on the abdomen and lower back. Technique & Benefits: Used to detect and treat the misalignment of abdominal organs and treat conditions related to the reproductive, digestive and lower abdominal organs. Initial consult: The practitioner will review your health history and your areas of complaints. Then you will receive a front and back massage and self-care instructions. Pelvic steaming may be suggested, as an optional adjunct technique. Herbal supplements may be recommended. ***Please note that you must fill out forms and email to siennatraditional@gmail.com at least 24 hours before your appointment. If forms are not received, the appointment will be auto-canceled and will need to be rescheduled. Find intake forms at the link at the top of this page, labeled “Forms & Insurance”. Thank you for your understanding and cooperation on this matter. Timing: While the Arvigo® Techniques of Maya Abdominal Therapy may be appropriate for most people, timing is important. If you are a woman, it is best to schedule a session when you are not menstruating. If you are actively trying to conceive, it is best to schedule a session in the window of time that falls after your menses and before your ovulation. If you are undergoing IUI the best time to come is 24-48 hours before the IUI. If you are undergoing IVF the ideal windows to come are before retrieval & transfer. Caution/Contraindication: IUD, recent surgery within 6 weeks and abdominal mesh are contraindicated.